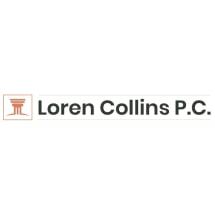 At the law firm of Loren Collins P.C., in Salem, I do what is right for my clients. I grew up in Oregon and graduated from Willamette University College of Law. For more than 30 years, I have diligently represented clients throughout Oregon. I have served as an attorney defending the state, as a member of the Salem City Council and now serve as a plaintiff’s attorney with my own law firm. My law firm represents people in matters of employment law and personal injury. I serve employees who face discrimination, harassment, wrongful termination and other harms at the workplace. My clients also include people who have been involved in car accidents, accidents on another’s property, harm at the hands of professionals and other injuries. I also represent the surviving families of people who have been killed in accidents of all kinds. Because I understand the challenges my clients face, I work hard to bear their legal burdens for them. My goal is to achieve the best possible results in Oregon courts so that my clients can focus on moving forward with their lives. Contact me by calling 971-600-0212 for a free and confidential initial consultation.